Your hot tub has been delivered and you are eager to get it up and running. Like most new spa owners you may be a bit confused about water treatment on your initial fill. Knowing what steps to take to start things off right with your hot tub will make a huge impact on future water treatment. To make things easy for you we’ll be walking you through with a detailed guide, answering all your questions and providing knowledge of basic water chemistry. 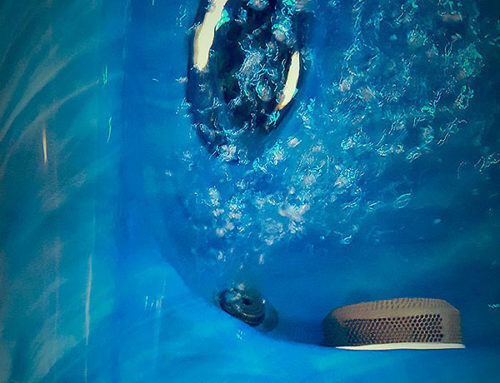 Before we start with water treatment, begin filling your hot tub if you haven’t already done so. 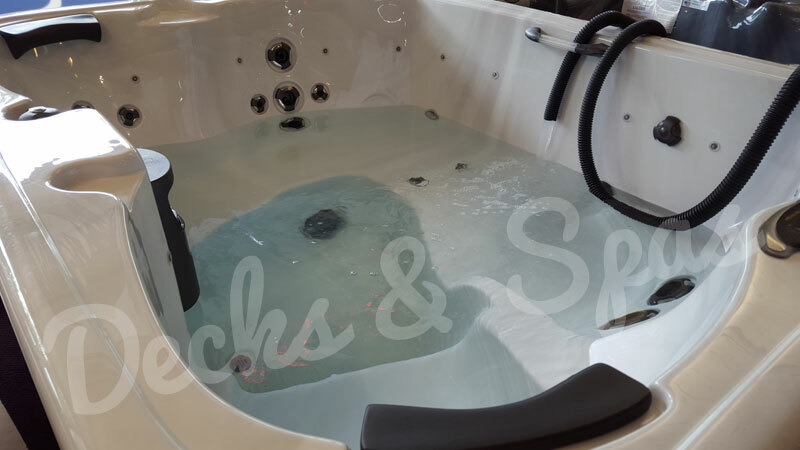 The fill line on your hot tub is mostly personal preference, the only requirement is that you are above the filters (to prevent air locks and surging). Before we get to the step by step guide let’s start with a checklist of spa chemicals you may need. Spa chemicals used in this guide are made by Leisure Time™. Choose either Chlorine or Bromine as Sanitizer, NEVER use both. Note: Once your hot tub is powered on, let spa heat to temperature of 80 degrees Fahrenheit (for better dissolution). After adding chemicals in steps below, be sure to turn on Jets using “Jets 1” or “Pump 1” buttons to continuously circulate water. Only if you are on a Well water system use Metal Gon, otherwise skip to Step 2. Poor entire 16 oz. bottle of Metal Gon in to spa water. Now we add Sanitation method of choice; Chlorine (A) or Bromine (B). A. Granular Chlorine SPA56, add 1 oz. / 2 Tbsp to spa water. Circulate for a few moments then proceed to Step 3. B. Bromine Tablets Brom Tabs, fill Floating Dispenser with tablets and place in to spa water. With the Bromine system the Floating Dispenser should always remain in spa water with sufficient tablets. Dispenser should be set 2 lines up then adjusted with use. Now that we have established our Sanitizer we need to add a Shock Oxidizer. Renew by Leisure Time or Balanced Shock Oxidizer (Potassium Peroxymonosulfate). Add 1 oz. / 2 Tbsp of Shock to spa. Be sure to leave cover open and let spa water circulate for about 15 minutes while Chlorine/Bromine and Shock dissolve in to spa water. Afterwards, use a Test Strip to test levels following instructions of test strips (usually on bottle). Check Test Strip for calcium hardness level. Typically, domestic water tests around 0-100ppm. The ideal target range for calcium hardness is 250-450ppm. Use 1/3 to 1/2 bottle of Calcium Booster (32 oz bottle) to your water. Amount varies by location so pace yourself to achieve target. A. pH: The ideal level is between 7.2-7.8 ppm. For water testing between 6.8-7.2 ppm, add 1 oz. of Spa Up. For water testing below 6.8 ppm, add 2 oz. of Spa Up. B. Alkalinity: The ideal level is between 80-120 ppm. After you have balanced your pH wait about 10 minutes to let water circulate then re-test your water to check Alkalinity. A lot of times pH Increaser or Spa Up will also increase Alkalinity levels. If Alkalinity is still testing below 80 ppm, add 1/2 to 1 oz. of Alkalinity Increaser. Download the PDF file of our Chlorine Cheat Sheet. Cheat Sheets detail weekly, monthly and quarterly maintenance routines as well as inform you of the chemicals and quantities you need for your spa to be clean and clear.